Maths is interesting! Maths is fun! Maths is scoring! Surprised?? It’s true. Maths can become your best friend if your concepts are clear and fundamentals are sound. And what is the best way to achieve that? The answer is by solving RS Aggarwal books. Professor RS Aggarwal textbooks are considered as the holy grail of Mathematics. The textbook contains ample amount of questions for the students to prepare for the examinations. But at some point, you may be able to solve any problem or find difficulty in understanding a concept. Then, don’t worry. 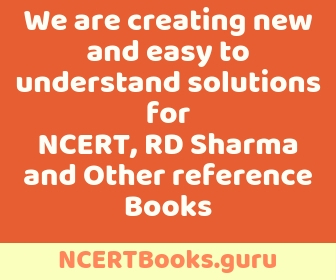 We at NCERTbooks.guru bring you the most versatile and comprehensive RS Aggarwal solutions book for classes 6 to 10. Each and every concept is explained in a very simple manner so that even a slow grasping student can understand it well and also it matches the level of a scholarly individual. All the solutions are provided chapter-wise. The syllabus and solutions totally comply with the latest solving techniques prescribed by Education boards such as CBSE, ICSE, and other state Boards. Each and every step is properly explained with proper reasons to understand the solution. Alternate solutions are also provided in case it is any possibility. All the solutions are easy to digest and can be comprehended pretty easily. R.S.Agarwal helps the students to create a strong base for mathematics and prepare for competitive examinations. In short, this book makes one fall in love with mathematics.